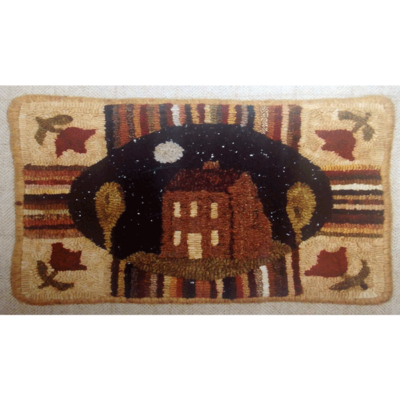 This rug was hooked in a number eight cut (1/4″ wide strips). PLEASE NOTE: THE BACKGROUND WOOL IS DARKER THAN IT APPEARS IN THE PICTURE. If you would like the wool to be as light as the picture, please let me know.